The end of the Mayan calendar notwithstanding, another Christmas is approaching–celebrating the ultimate Reveal, the greatest ah-ha moment since time began.. 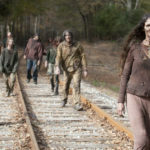 Most of my articles here at Speculative Faith concern the intersection of speculative fiction and my belief in Jesus Christ as Lord and Savior. Sometimes I focus primarily on speculative fiction, but today, I’m tipping the scales the other way and writing primarily about my faith. After all, the end of the Mayan calendar notwithstanding, another Christmas is approaching. Earlier this week there was a late-night police action in my neighborhood–an unruly party, perhaps, or some sort of illegal drug or gang activity or possibly individuals succumbing to anger and venting in a display of domestic violence. 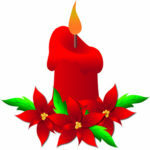 We celebrate Jesus, good news to the world because He brings peace on earth, He gives joy to all mankind. Yet so obviously, many people do not understand. How have we Christians failed to tell the world the truth about Jesus? 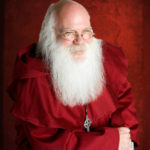 No, He is not a cute newborn or a religious version of Santa Claus. He is the image of the invisible God. In Him all the fullness of Deity dwells. So what? Jesus isn’t here now. He Himself answered this when He was talking with His disciples–first, He showed the Father, but also by going away, He made it possible for the Holy Spirit to come. Israel had God in their midst. They had prophets who told them what God said, and priests who would make sacrifice on their behalf. The disciples had Jesus with them, beside them, talking, teaching, living, performing miracles. But the Church has God in us, each one. Consequently I enjoy the fellowship of God–His presence, His counsel, His conviction, comfort, truth, assurance. He holds my hand and to Him I cling. He is with me when waters overflow. He is the One in whom I will boast–not in wisdom, riches, or might. Jesus coming in the flesh made this relationship with God possible. That’s why it’s important to celebrate Christmas. It’s the single-most pivotal event in history. Some may think Easter holds that place, but Easter is actually an extension of Christmas. Jesus, born of Mary, was God’s first step onto earth in the skin of Man. It was the beginning. 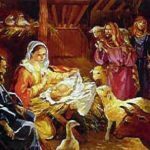 Everything that night of Jesus’s birth was a shout–the great, glorious plan of redemption, worked out before the foundations of the world, was unfolding. It was being revealed to us who, through Him, would become believers in God. Christmas is the ultimate Reveal! It’s the greatest ah-ha moment since time began. But so many look past it or don’t get it. Perhaps too many have relied on slogans–put Christ back in Christmas (what does that mean? Include a manger scene in our decorations? Say Merry Christmas instead of Happy Holidays?) Perhaps we’ve allowed the birth events to dominate the meaning of Christmas. As important as was the virgin birth, the angelic announcement to the shepherds, the coming of the magi, the real “magic” of Christmas is this “first step” in God’s plan to rescue His creation. It’s begun. And praise God that it is so! Maybe even go tell it on the mountain. Or in a story. It’s the single-most pivotal event in history. Some may think Easter holds that place, but Easter is actually an extension of Christmas. I’m one of those who say that Easter is the most pivotal event in history, and I’d say that rather than Easter being an extension of Christmas, Christmas is the beginning of what would become Easter. The climax of a scene is not an “extension” of its opening lines, even if it follows inevitably from them. 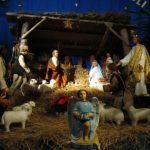 However, I would certainly say that the fact that is centrally celebrated at Christmas—the Incarnation—is the pivotal fact of history, since it includes birth, death, and resurrection. Jonathan, I’ve made a case for Easter myself, and certainly wouldn’t argue with you. I guess I see the Incarnation more as a whole than I have before. I’ve thought some years about the fact that there would be no Easter if there were no Christmas, and I’ve thought about Christmas holding no significance without Easter. But this year I got this image of the whole package–the working out of God’s plan of redemption for which He’d prepared down through the generations. And when Jesus made his appearance, His infant cries mingled with the shouts of angels saying Glory to God in the highest, in a grand declaration: It’s begun. I like how many Christmas celebrations in recent years have included not only the story of the Advent but also the truth of the Crucifixion and Resurrection. If Christmas marks the beginning, then Easter marks the end (the goal). They make a complete story. And yet the Story is still being told. I John 3:8 tells gives us another reason for the season: The reason the Son of God appeared was to destroy the devil’s work. Satan is God’s most formidable enemy, and that makes the devil our worst adversary, having easy sway over the hearts of men. To destroy his dominion, God became a baby (as if that evened the odds), lived holy, died and rose. Our Emmanuel conquered the one who had power over death. Somehow, Satan should be in the nativity scene, wringing his hands. This is probably a completely pointless question, but I wonder, can we say for certain that Satan is really God’s most formidable enemy? First of all, can any enemy truly be “formidable” to almighty God? Does the devil even pose a little bit of a threat to God, or is God so sovereign that the devil wouldn’t have been able even to bother God in the slightest way imaginable, unless God had chosen to descend and suffer with humanity? Secondly, how can we know what enemy God considers to be the most formidable? Does it say in the Bible that God is more worried about the devil than about human depravity, or anything else? Agreed. God has no real foes. But relative to every other created creature, Satan exercises the most power for evil. He orchestrated the rebellion in heaven and became the prince of this world. The prophecy of his defeat was first made in Genesis and last in Revelation. Hell was made for Satan and his followers. Our main battle isn’t against flesh and blood but against spiritual powers. If God doesn’t intervene (the Holy Spirit), we are easy prey to Satan’s wiles. I believe Satan is bound now (limits set on his power – amillennial view), allowing the gospel to spread throughout the world. When he is loosed, then the full power of Satan will be seen and felt. The only hope of relief will be in the second coming of Jesus Christ. But is God worried? No. Satan is just the antagonist in His divine story for the redemption of mankind.